Chennai : Karunanidhi's death: Private bus operators have decided to stop their services to and from Chennai till Wednesday evening as large number of passengers have cancelled their tickets and also as a precautionary measure, said an office-bearer of All Omni Bus Operators Association. "About 75-85 per cent of the passengers decided to cancel their tickets on Wednesday. As a result, the bus operators have decided to cancel the services to and from Chennai till 6 p.m tomorrow (Thursday)," A. Anbalagan, general secretary, All Omni Bus Operators Association told IANS. According to him, about 1,000 private buses are operated out of Chennai to other parts of Tamil Nadu. About 10,000 passengers use the private buses to and from Chennai, Madurai and Coimbatore, he said. Theatre owners have cancelled shows starting tonight and said ticket rates would be refunded. Following Karunanidhi's death, several shops in different parts of the state downed their shutters. 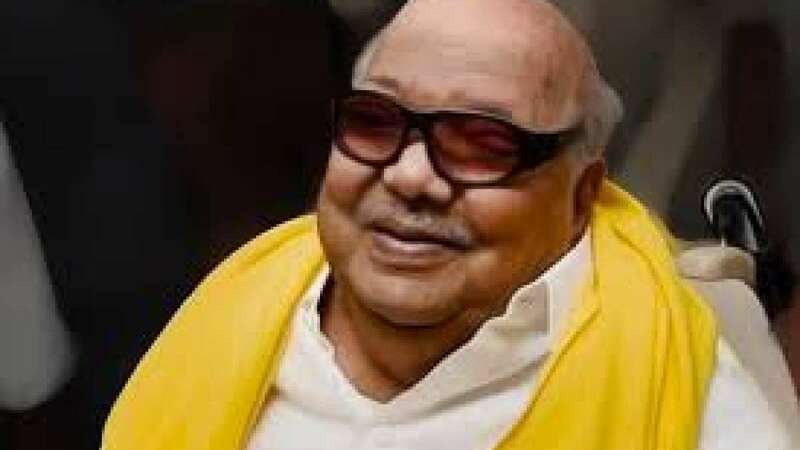 Former Chief Minister and DMK President M.Karunanidhi breathed his last here at Kauvery Hospital where he was admitted on July 28.